CORSAIR®, a world leader in enthusiast memory, high-performance gaming hardware and PC components, has bagged the ‘Best Gaming Keyboard Award’ for its K95 Platinum in Indian Gaming Awards 2018. This recognition clearly reflects Corsair’s outstanding strength in design, innovation, ergonomics, functionality and quality in the gaming industry. 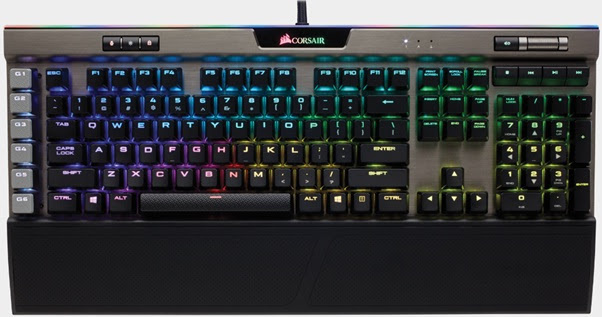 Building on the phenomenal success of CORSAIR mechanical keyboards, the new K95 RGB Platinum combines a trademark CORSAIR anodized aluminum frame with the very latest in premium keyboard technologies to redefine what gamers can expect from a high-end keyboard.